looks delicious, and will definately try. This is good. I have my recipe for it too. 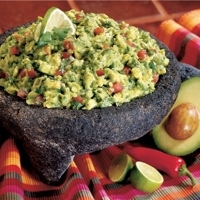 We make our guacamole like this recipe! It's awesome with jalapenos if you like it hot but its also great if you make it without the jalapenos!